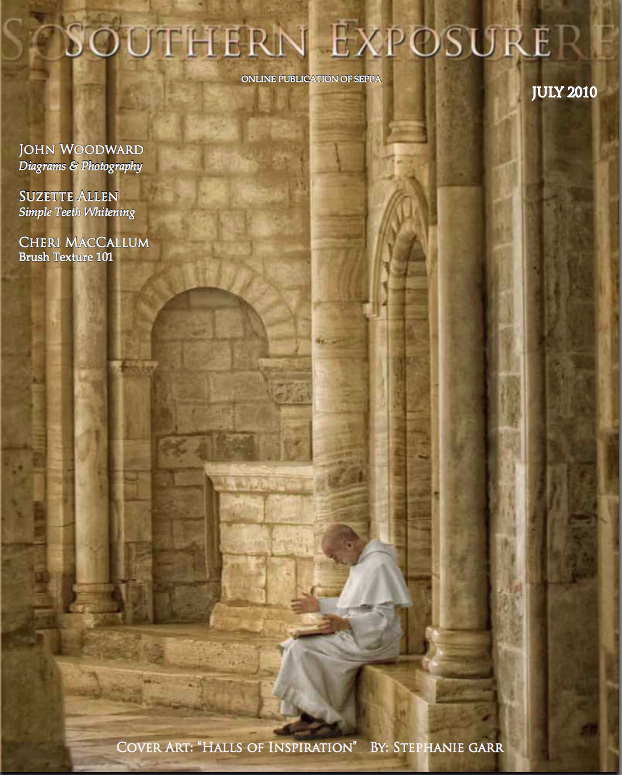 I am honored to be featured on the cover of Southern Exposure Magazine. 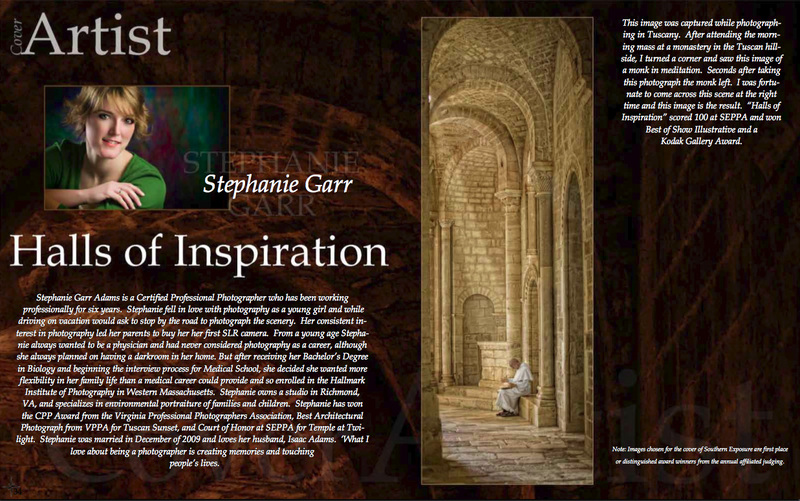 The image “Halls of Inspiration” won the Kodak Gallery Award, Best of Show Illustrative, and First Place Illustrative during the Southeastern Professional Photographers Association print competition held in April. I also submitted the image in the International Print Competition in June and it was selected for the International Traveling Loan Collection, which travels to different exhibits and is published in a book. Professional print competition is an opportunity to increase my skills and earn merits toward my Master of Photography Degree. Each step of the way is making me a better image maker to create beautiful images of you and your family.